Award-winning actor, writer, woodworker, and comedian Nick Offerman announces two exciting updates to his UK tour. Due to phenomenal demand, he will be putting on an extra Glasgow showing of All Rise at the o2 Academy at 5.30pm (on stage 6.30pm) with tickets for the original show moving to the later time slot of 8.30pm (on stage 9.30pm). 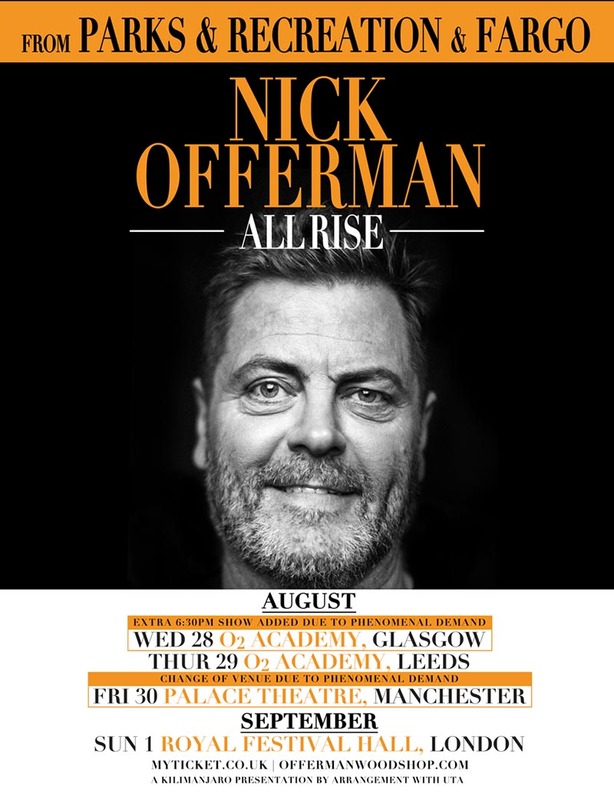 Offerman is also changing venue in Manchester to a much bigger capacity crowd and will now be appearing at the Palace Theatre instead of at the Albert Hall. Tickets bought before the updates are still valid.